When students transition to a new type of standardized testing, it is a given that some of them may need more time to adjust to it. For this reason, many educators expected students' scores to drop when they went from taking the Iowa Tests of Basic Skills (ITBS) to the Iowa Assessments. Despite these concerns, students in Iowa's Waterloo Community Schools performed well in what was their second year taking the Iowa Assessments, the Waterloo Cedar Falls Courier reported. 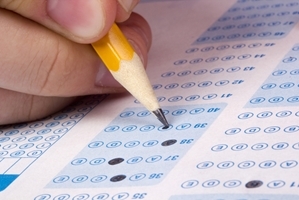 Overall, the spring testing season yielded gains at all grade levels. At 12 schools within the district, proficiency rates were up in reading, while 13 institutions saw an increase in math proficiency. In science, nine schools saw proficiency grow. "It's the news we've been waiting for to not only add some credibility, but to add some reinforcement to our staff," Gary Norris, the district's superintendent, told the news outlet. "Every building had been working very hard to turn this around." The Iowa Assessments are quite valuable to school districts, as their results allow educators to learn which concepts students have and have not mastered, and predict future academic performance, according to The Riverside Publishing Company's website.